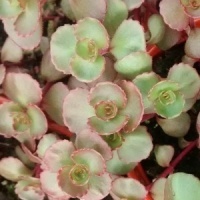 A fast-growing ground cover with red leaves turning dark green then red in autumn. Pink clusters of flowers in summer. Hairy Dewflower. 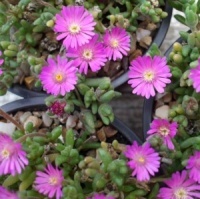 Glossy shining succulent leaves covered by masses of purple flowers. 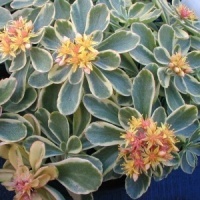 Semi-evergreen clump forming perennial, with creamy white margined leaves and yellow clusters of flowers in the summer.